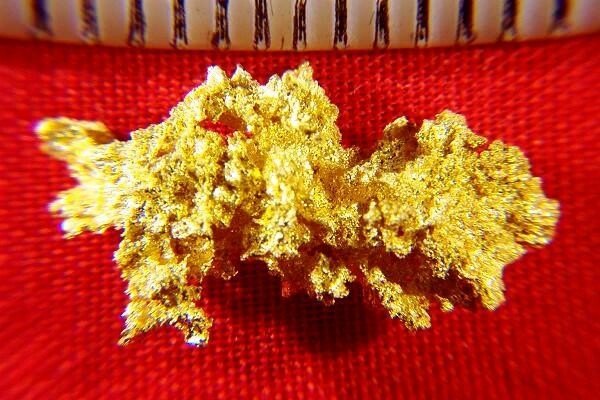 This spectacular natural crystalline gold nugget specimen was recovered by gold miners at the Mockingbird Gold Mine in California's Gold Country. It has a stunningly beautiful color and a very intricate crystalline structure. It is quite long at 3/4" (19 mm) long. Crystalline gold is one of the most interesting ways I know to invest in gold, because it is rare so the price will appreciate with time and because it is so nice to look at. This beautiful crystalline gold specimen weighs 43.1 Grains (2.8 Grams). Crystalline gold nugget specimens from the Mockingbird Mine are highly sought after by collectors and investors, and is some of the most beautiful crystalline gold that you can find. 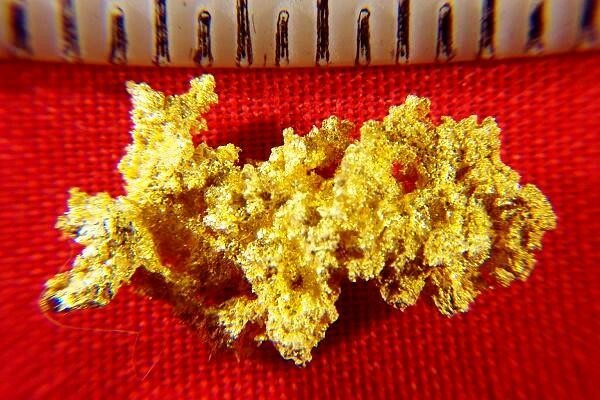 A super nice crystalline gold nugget for a great price.